Fly like superman in a 30 min flying session. It will take between 5-15 min to learn the basics and be able to fly. You will get an instructional lesson on land first, followed by 30 min water time. Have you ever wanted to fly like superman? Soar high in the air and look down on the ocean beneath you? Move like a fish in the water? Dive like a dolphin? 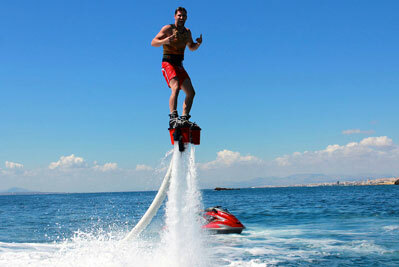 The fly board makes this possible! This activity is perfectly cut out for thrill seekers and adventurers! But anyone can fly, there is NO maximum weight limit, the minimum weight is 50 kilo's. Picture Perfect! Fly like superman in a 30 min flying session. It will take between 5-15 min to learn the basics and be able to fly. You will get an instructional lesson on land first, followed by 30 min water time. Enjoy free time along the beach to walk he crystalline sand, sun, swim and relax. 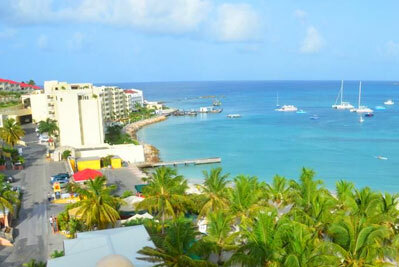 Try catching the planes above your heads possibly in for landing, in the beautiful Paradise of St. Maarten. © 2018 St. Maarten & St. Martin Tours & Activities Guide. All rights reserved.